Related to Onam, homemade ghee is one of the sides for Sadya and making many other dishes like ada (pies) and puddings like payasam. Pure ghee is served along with lentil curry for Onam Sadhya. The authentic smell of homemade ghee make us feel more hungry. The rice and lentil curry, when paired with ghee feels divine. Trust me. In our families, we make our own ghee from the raw milk. 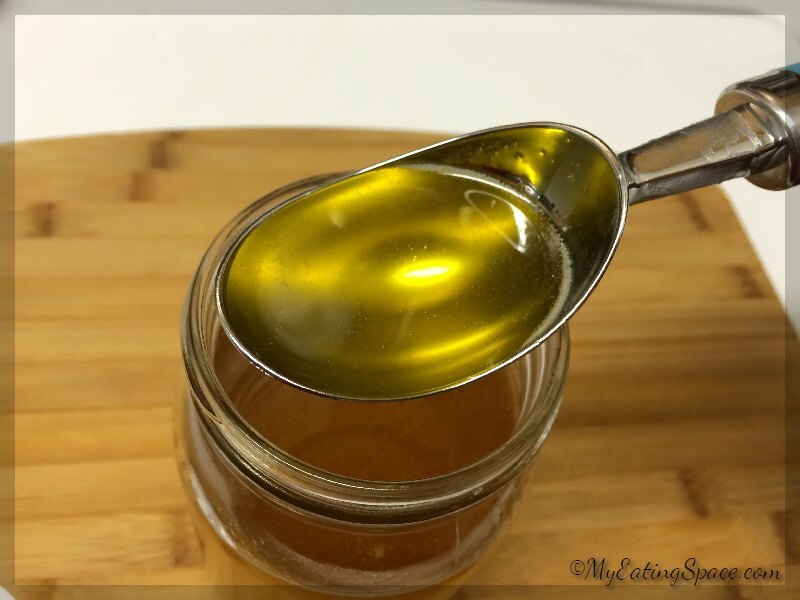 There are different methods to make ghee at home from raw milk (which i will do in another post). In the US, it is very difficult for me to get raw milk for preparing homemade ghee. Also, the store-bought ghee never seemed pure as it contains solids like fake vegetable ghee. And it never tasted like the real, pure clarified butter. The bottle is pretty expensive too. So the better option I found is to buy butter from Walmart or any grocery stores, melt it and make my homemade ghee. It felt like a stupid idea for me to do this post first. Well, who don’t know how to make ghee was my thinking. But then I came to know there are many, including my Indian friends, who don’t know how to make homemade ghee. So when the questions lined up, I decided to do this. 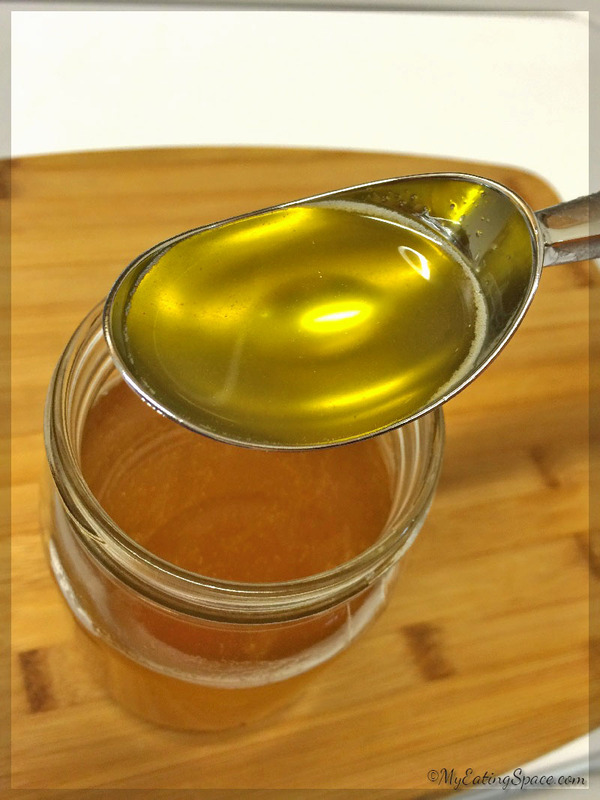 Ghee, the liquid gold is very expensive to buy, but simple and cheap to make at home. Ghee, the clarified butter has been revered in Indian culture, cuisine and medicines. It has a more intense flavor and nutrients than butter and a little bit goes a long way. Use a thick bottomed deep saucepan. Cut the butter sticks into small cubes. Heat the saucepan on low flame. Add the butter pieces into the pan. Heat the butter on medium-high until completely melted. Stir occasionally. When it starts to foam, reduce the heat to medium-low and simmer. Stir occasionally. The melted butter at this point will be yellow and opaque. You can see a thick foam on top. Continue simmering and watch for the bubbles emerging from the foam. Slowly the foam will become thinner and bubbles will increase, become bigger and clear. All the water content in the butter will evaporate and the milk solids will start to curdle on top now. Continue simmering until it starts to foam again and the milk solids turn brown and sink to the bottom. This second foam and the caramelized milk solids are the indication that your ghee is ready. The liquid will be clear and have a light golden color by then. Switch off the heat and let it cool slightly and the foam will settle. 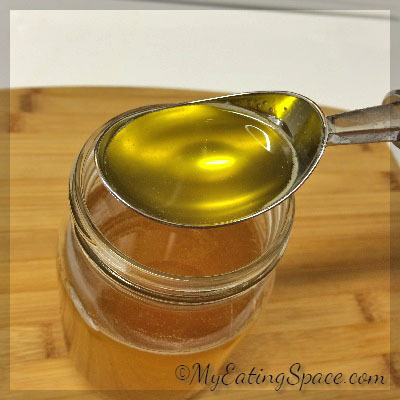 Filter the ghee through a strainer into a clean glass jar. Now let it cool completely. Tightly close the jar only after the ghee is cooled completely. No need to refrigerate the ghee as it won't go rancid like the butter. 1 lb butter makes almost 16 oz ghee (1 lb). The butter will go through many stages while preparing ghee. Keep patient when you see it foaming, bubbling, curdling, brown milk solids and then again foaming. You are doing it perfectly. The ghee will stay fresh for several months without refrigerating as all the water content is removed. For this Onam, serve the pure and tasty homemade ghee for Sadya. Also, you can use ghee instead of butter while travelling since it will not go rancid and there is no need to refrigerate ghee. It will stay fresh in your pantry for several months.